Glandular Fever is widely linked to Chronic Fatigue symptoms. 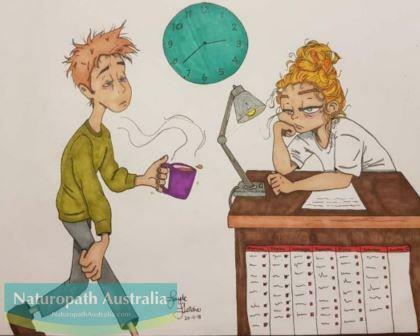 Chronic Fatigue is becoming more and more common within our Society. Glandular fever gives no quarter, it does not distinguish between a physically fit athletic body or somebody that is already immune deficient . There are so many cases where our top athletes have crashed for many months losing precious training times because they have contracted the Glandular fever Virus, some have even tried to keep up their training exacerbating the whole situation, and a few have missed important events that they have trained for years to compete in, such as the Commonwealth and even the Olympic games. The problem with Glandular fever is that because it affects all of your glands and lymph nodes, you may get a variety of symptoms that appear to have no common cause. The symptoms may actually change from day to day, which makes diagnosing very difficult and you may get confused and start to wonder if you are imagining it and whether it could be all in your mind. Sometimes you can be told this is a possibility and asked if you would like see a psychologist. Because glandular fever attacks your endocrine system, it affects you not only physically but mentally as well. It makes you doubt your own decisions, the moods swings can be dramatic, you may feel depressed for no known reason, where before the virus, you were such a positive person, where every glass was half full. You may find your friends are puzzled at the changes that they see in you and they cannot understand why. In most cases unless you have been diagnosed you will not be able to understand why – one day you feel ok, the next day you have crashed and need to rest. How often have I heard the phrase “this is just not me, what is wrong”? You can’t get up in the morning, you are exhausted all day every day. Nobody can tell you why. In my career as a naturopath, I have known many patients to lie on their bed for months trying to recover from this virus. Often these patients are thought to be just lazy and suffer unfair criticism from friends and family. You can look at Glandular Fever as a possible reason for this condition. This virus may be attacking your adrenal gland. If that happens, you will not have enough cortisol to handle any stress that happens in your life, you may overreact to a given situation, and become very depressed or even angry in the circumstances. Enough stress may cause your heart to race, which is very frightening and this may lead to anxiety attacks where you are afraid to leave the house..
With the endocrine system being weakened, your iron may be low. You are not digesting well if the pancreas is weakened and you become hypoglycaemic. In some cases, it has been linked to type 2 diabetes. If your thyroid becomes unstable this may lead to fatigue and muscle weakness. Your weight may also change, either you put on excessive weight without a diet change or you may even start to lose weight. With the thyroid involved your metabolism alters and appears to leave you with another problem that does not make sense. Even young people who feel that they are bulletproof, need to question changes that can alter their lifestyle without any apparent reason. If you have any of these symptoms, and they are not making sense to you or you feel you are not recovering in a reasonable amount of time, please do not just accept it, Your health is the most important asset that you have, it is your vehicle through life and you need to treasure it . It is extremely important that Glandular Fever be recognised for it to be treated and the weakened organs balanced. We determine this by doing a hair sample and suggesting natural medicines that will help detoxify and strengthen the Immune system. To order your Hair Analysis click here.